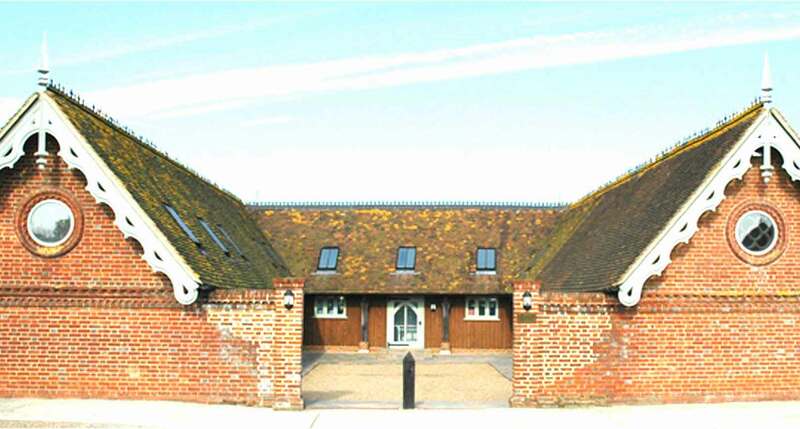 Anderson Abercromby Veterinary Referrals was established in 2005 by Ralph Abercromby and Angus Anderson two of the most experienced veterinary orthopaedic surgeons in the UK with over 50 years of combined experience of working in academic institutions and private referral practices. The goal of the Practice is to provide an excellent level of care and service to primary veterinary practitioners and their clients. Our ethos is straightforward. We will provide pet owners with the level of care and service we would expect if one of our own pets were in need of specialist care. Anderson Abercromby Veterinary Referrals is a Preferred Provider for insurance policies underwritten by Royal Sun Alliance (More Than, Tesco, Marks and Spencer, John Lewis). Only a select number of referral practices have this designation and we achieved this status by providing our clients with an excellent service and providing value for money. If your animal is insured with one of the above companies we will apply a discount to your bill which makes your valuable insurance cover go further. As a Preferred Provider we are under constant scrutiny to ensure we are providing an excellent level of service. We provide general practitioners with a 24 hour a day, 7 days a week service with a highly experienced clinician always available to see cases or to offer advice when needed. TO REFER A PATIENT, please download our PATIENT REFERRAL FORM and send it back to us together with Clinical History, Referral Letter and any other Supporting Documents. A REFERRAL CAN ONLY BE MADE BY YOUR PRIMARY CARE VET. They will provide us with all the medical information we require in order to treat your pet and discuss the possible solutions with you once an appointment has been made. We do still need you to register your pet, so it will be very helpful if you could download and fill in our CLIENT REGISTRATION FORM prior to your visit, and bring it with you to your appointment. At Anderson Abercromby Veterinary Referrals we undertake an extensive range of investigative and surgical orthopaedic and neurosurgical procedures. 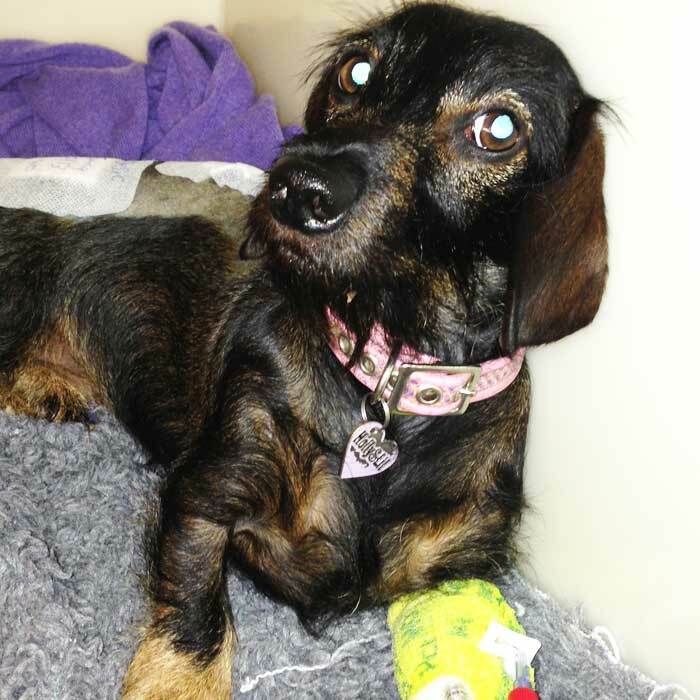 Parsley is a 4 year old Dachshund that developed spinal pain that worsened until she lost the use of her hindlimbs. 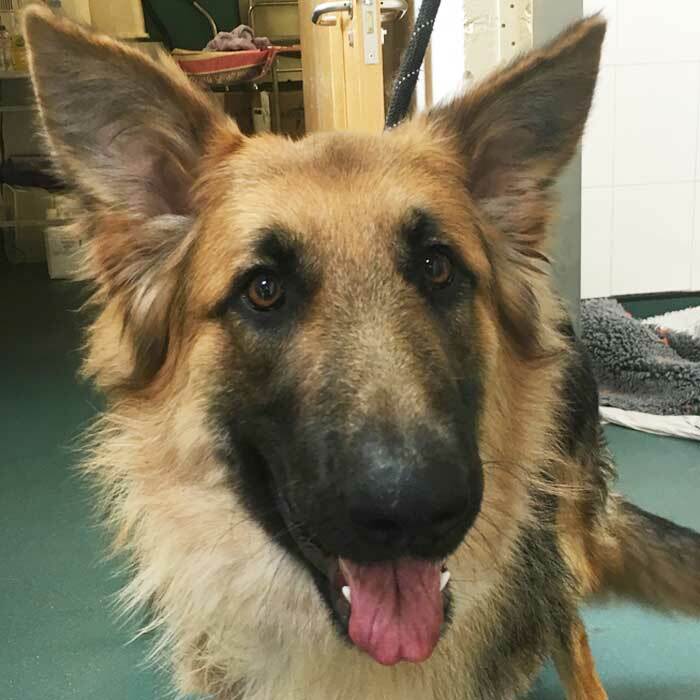 Ellie is a 6 year old German Shepherd Dog that developed hindlimb lameness when she was about four years old. 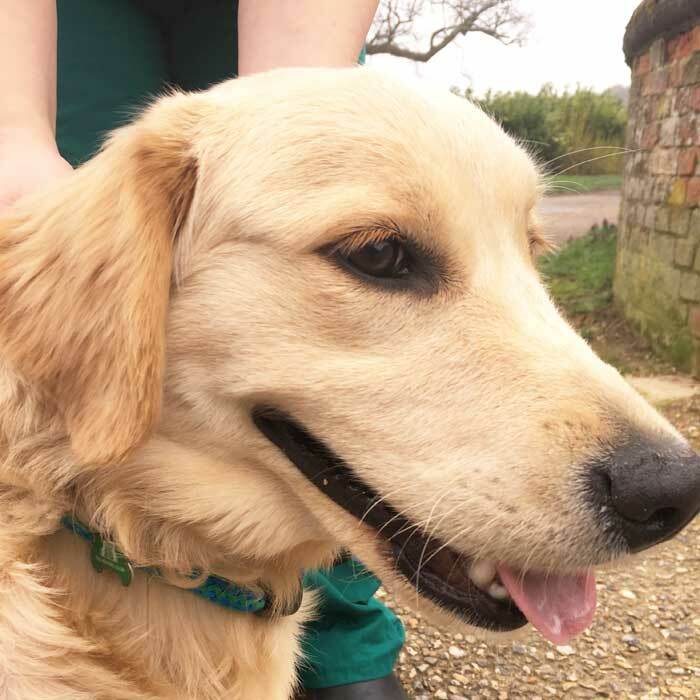 Chloe is a 9 month old Golden Retriever that became lame on a front leg when she was about 6 months old.